This is a sponsored post written by me on behalf of Tsamma Juice. All opinions are entirely my own. When the new year comes around, it brings a sense of difference. I know anti-resolutions are a new thing this year, but call me old-fashioned, I still like the fresh start of a new year. I think that having a reason to reflect on the year behind you and decide what you want to change in the year ahead of you is a good thing! If you really mean it, there is no shame in making a statement of what you want to be different this time around. Sometimes we want to change small things, but this year our resolutions are rather ambitious. Because of this we are trying to be intentional about how to execute our hopes and goals. If you don't know what you want to change this year, we invite you to join in on this one- STAYING HYDRATED! 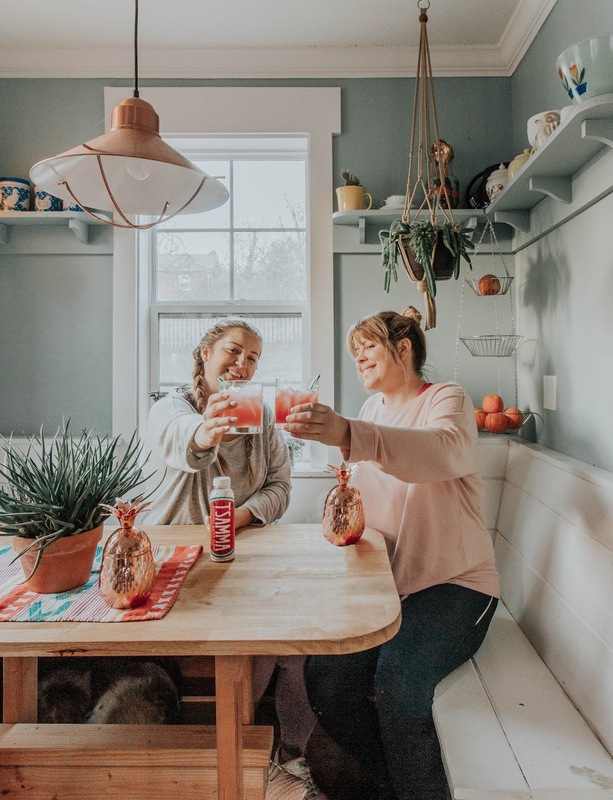 Whether you are hoping to work out more this year, take care of your skin, or eat better, staying hydrated is one that can help us all reach our goals. Today, we have a few tips on how you can stay on track with this goal all year long! 1. Make a plan. How many times have you had the best intentions for something and then you did nothing? I can't tell you how many times we've decided that we need to work out X amount of days a week and then we can't find the time to actually execute it. Take time to decide how much water you want to drink each day. This will definitely be different for each person and depend on why you want to be hydrated. Do your research to find your method. Maybe set an alarm for two different times a day to make sure you've hit a certain goal at that moment. Find a cute water bottle that makes you a little more excited to drink out of. 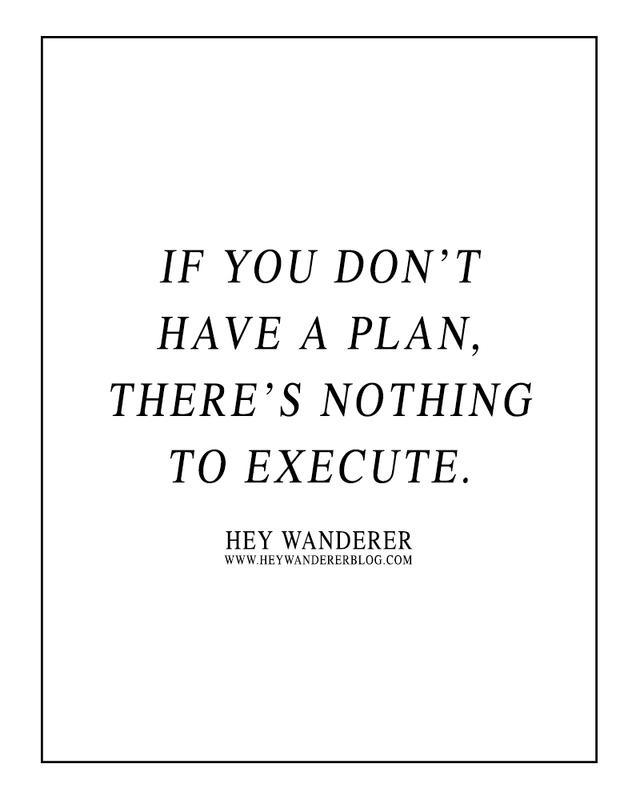 If you don't have a plan, there's nothing to execute. 2. Get creative. 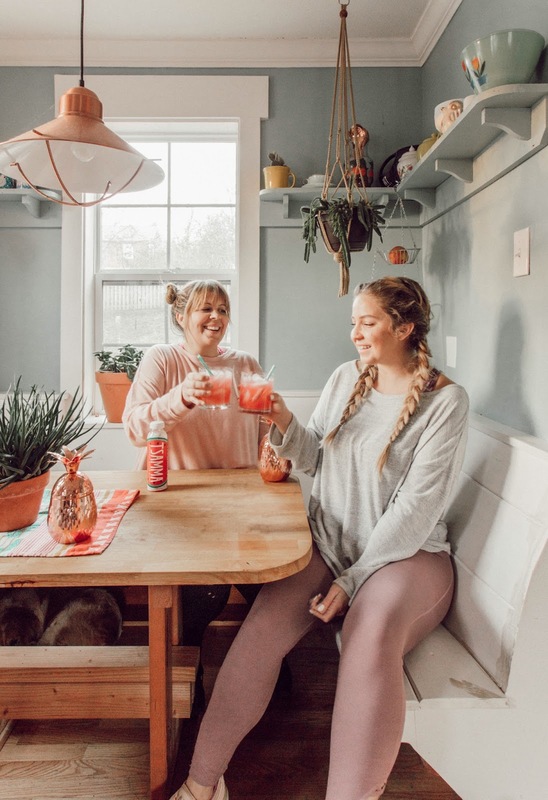 Water is fabulous for hydration, but you are definitely going to want some variety and that's where Tsamma Juice comes in! Tsamma Watermelon Juice is scientifically proven to aid in rapid re-hydration, which is perfect for an after workout drink. 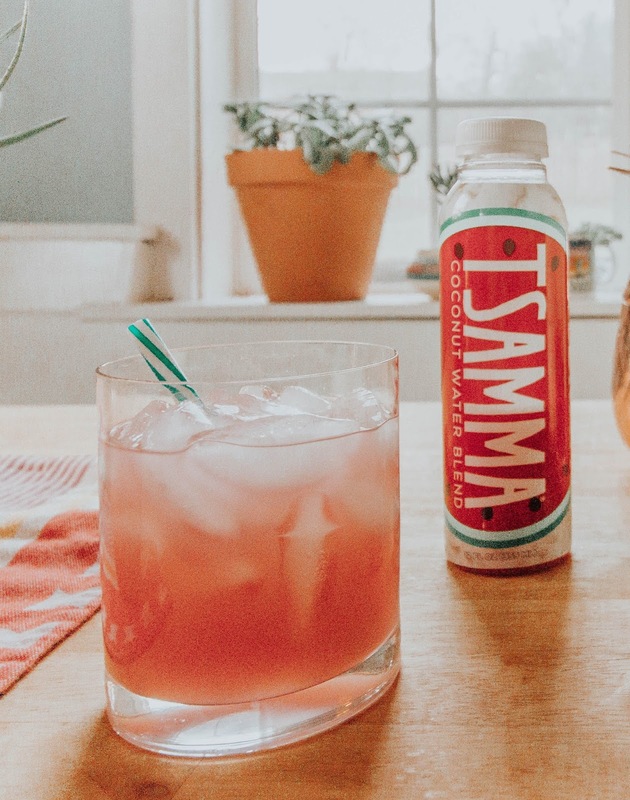 It’s available in its original flavor: Tsamma Original Watermelon Juice and another flavor, Tsamma Watermelon Juice + Coconut Water Blend. Both are delicious and bring some excitement to your hydration goal. Tsamma (pronounced SAH-MAH) is a cold pressed watermelon juice. It's the best choice for hydration because it is a natural source of L-citulline, lycopene, and potassium! So basically it's delicious, good for you, and helps you reach your goal. 3. Find accountability. This is so important to the success of any goals you have. 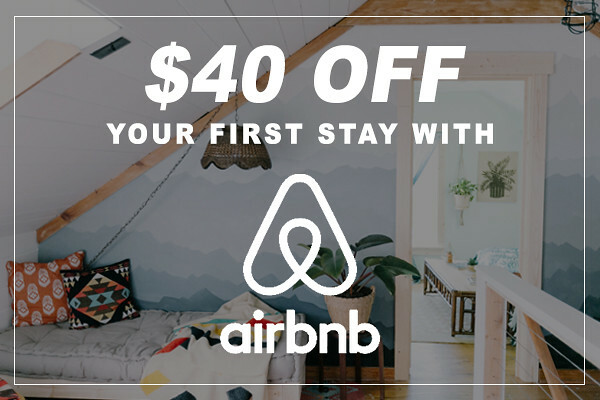 The good thing is, it's really easy to get a friend, family member, or roommate to join this journey with you! Maybe you can check-in with each other once a week just to assess how you've each been doing. Since Casey and I are roommates, it's really easy to tackle something like this together. Just find a buddy! Chances are, they need a little hydration (and flavor) in their life too. And there you have it! 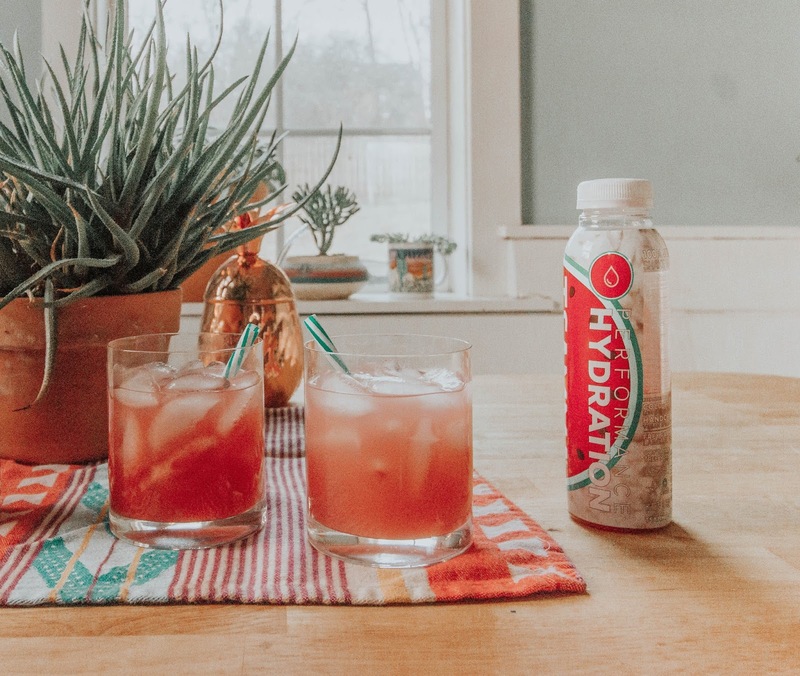 3 ways to make your hydration goal a reality this year. You can purchase Tsamma at your local Publix store and make sure to grab some for your accountability partner! And maybe enough for tomorrow and the next day. Just get a bunch. From January 27- February 25, there will be a $1 off coupon in the Publix weekly ad or here. Let’s get together next year and see how we all did. Happy drinking! If you liked this post and want more tips like this, please pin the image below on your Pinterest!